Rachel Houghton married (?) Hart. 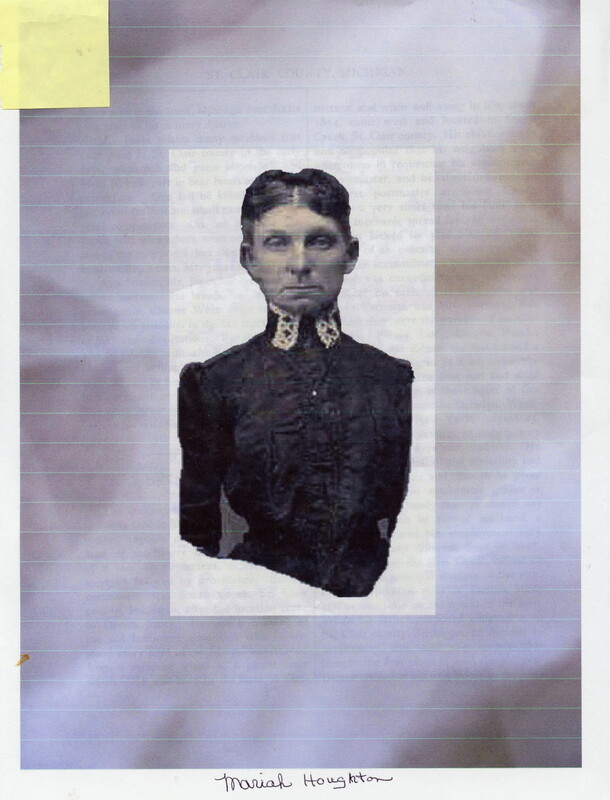 Miranda Marie Button married Joshua Weston Houghton, son of Asa Houghton and Rebecca Conkling, in Oct 2, 1849 at Ontario, Canada. Rebecca T. Houghton married Samuel Hart in Aug 30, 1868. Samuel Hart married Rebecca T. Houghton, daughter of Joshua Weston Houghton and Miranda Marie Button, in Aug 30, 1868. Maria Houghton married Denis Jones in 1867. Denis Jones married Maria Houghton, daughter of Joshua Weston Houghton and Miranda Marie Button, in 1867. John Lutmann Houghton married Sarah Abbie Pike, daughter of Joshua Pike and Dorcas Houghton, in Dec 31, 1884 at Cooperstown, Griggs Co., ND, USA. Sarah Abbie Pike married John Lutmann Houghton, son of Joshua Weston Houghton and Miranda Marie Button, in Dec 31, 1884 at Cooperstown, Griggs Co., ND, USA. 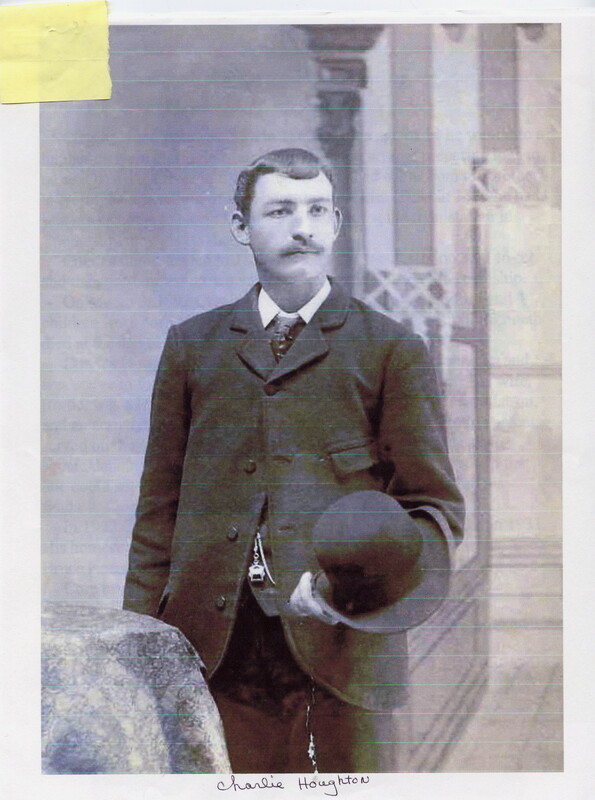 George Kimbrell Houghton married Effie Olive Langley in Mar 29, 1879 mar 20 years in 1900 census; Mar 29 1880 in obit. George Kimbrell Houghton married Frances Dorison in 1911. Wilmot Peter Houghton married Olivia Amelia Langford in 1894 mar 5 years in 1900 census. Olivia Amelia Langford married Wilmot Peter Houghton, son of Joshua Weston Houghton and Miranda Marie Button, in 1894 mar 5 years in 1900 census. 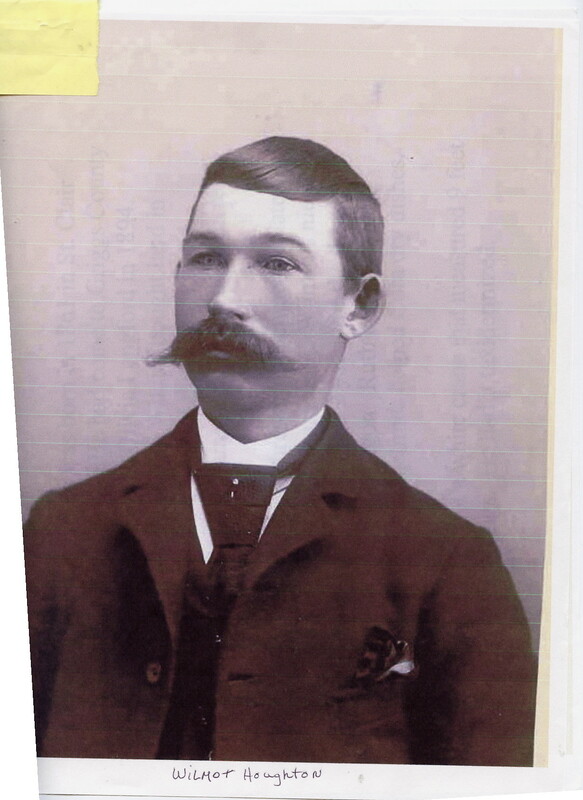 Charles Walter Houghton married Alberta Langford in Mar 3, 1892 mar 8 years in 1900 census. 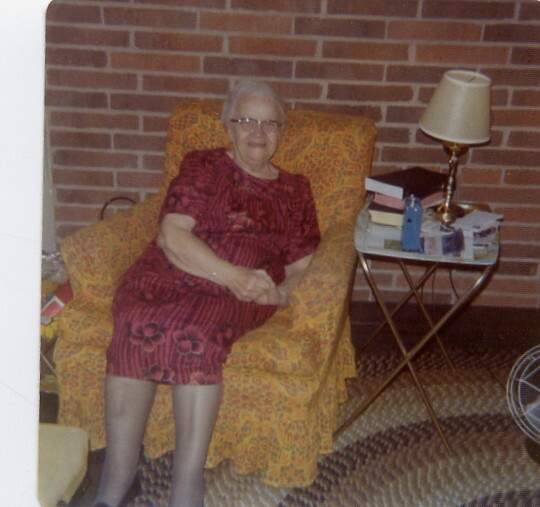 Alberta Langford married Charles Walter Houghton, son of Joshua Weston Houghton and Miranda Marie Button, in Mar 3, 1892 mar 8 years in 1900 census. 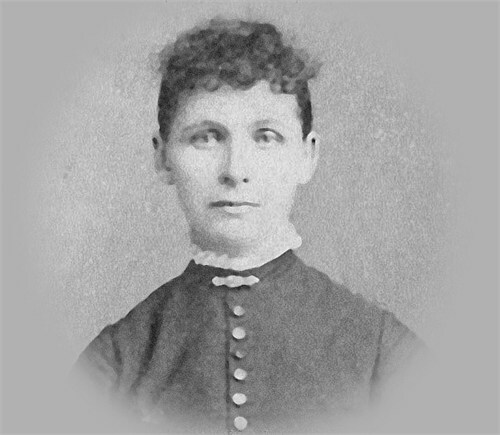 Nina Elizabeth Blanchard married Western Houghton, son of Joshua Weston Houghton and Miranda Marie Button, in Feb 19, 1890 at St. Clair, MI, USA, at the residence of Mr. C. W. Blanchard. 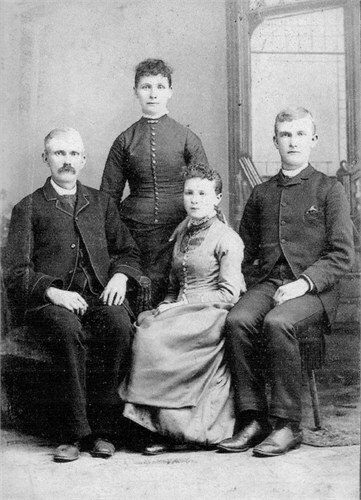 Horace Houghton married Sarah L. Wilson in Feb 24, 1892 at Whestland Twp, Sanilac Co., MI, USA, age 23 and 21. 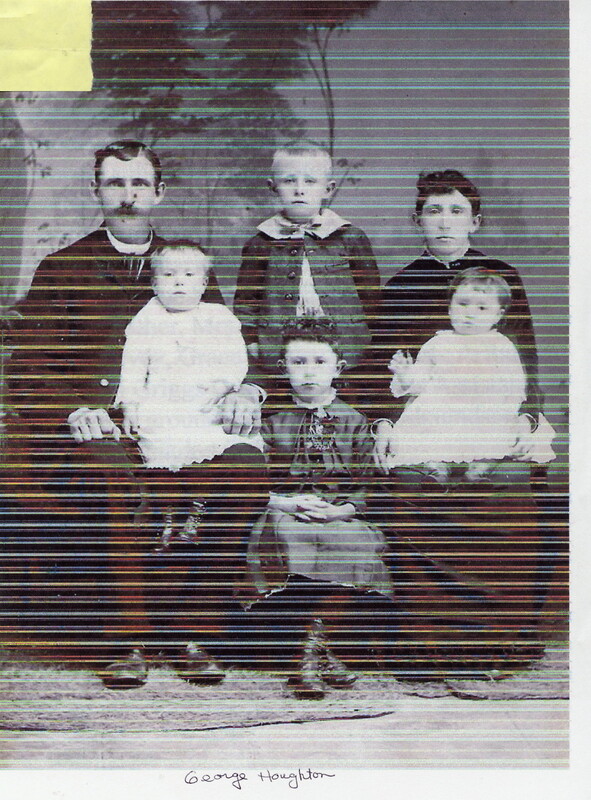 Sarah L. Wilson married Horace Houghton, son of Joshua Weston Houghton and Miranda Marie Button, in Feb 24, 1892 at Whestland Twp, Sanilac Co., MI, USA, age 23 and 21. Mary Houghton married Ed Harris in Feb 16, 1892 at Columbus, St. Clair Co., MI, USA. Ed Harris married Mary Houghton, daughter of Joshua Weston Houghton and Miranda Marie Button, in Feb 16, 1892 at Columbus, St. Clair Co., MI, USA. 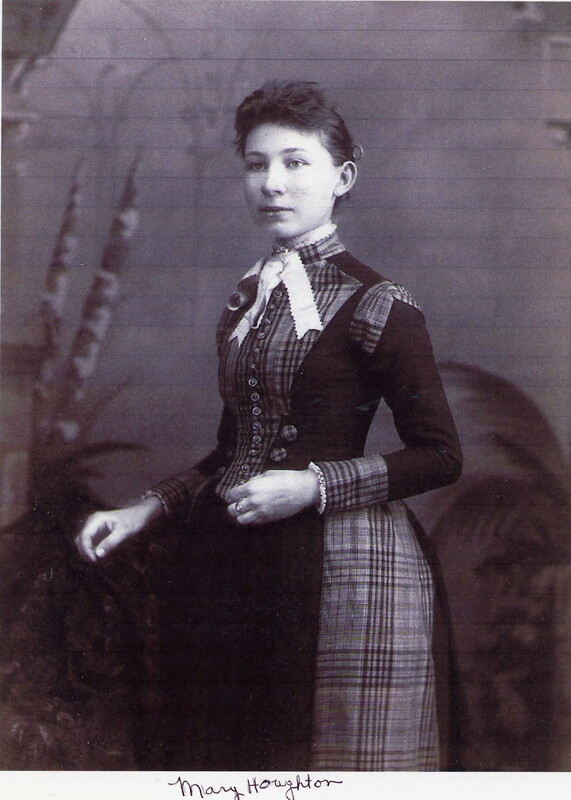 Douglas Jay Houghton married Alice Catherine Blanchard in circa 1899 age 25 and 23. 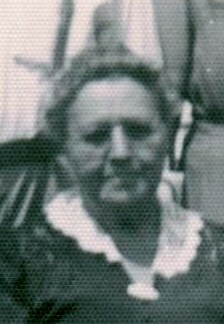 Alice Catherine Blanchard married Douglas Jay Houghton, son of Joshua Weston Houghton and Miranda Marie Button, in circa 1899 age 25 and 23. Jennie Christine Magnuson married Earl Button Houghton, son of Western Houghton and Nina Elizabeth Blanchard, in Nov 21, 1917 at Karnak, ND, USA. Death Apr 21, 1956 Twin Valley, Norman Co., MN, USA, when his pickup truck was struck by a Norther Pacific freight train. 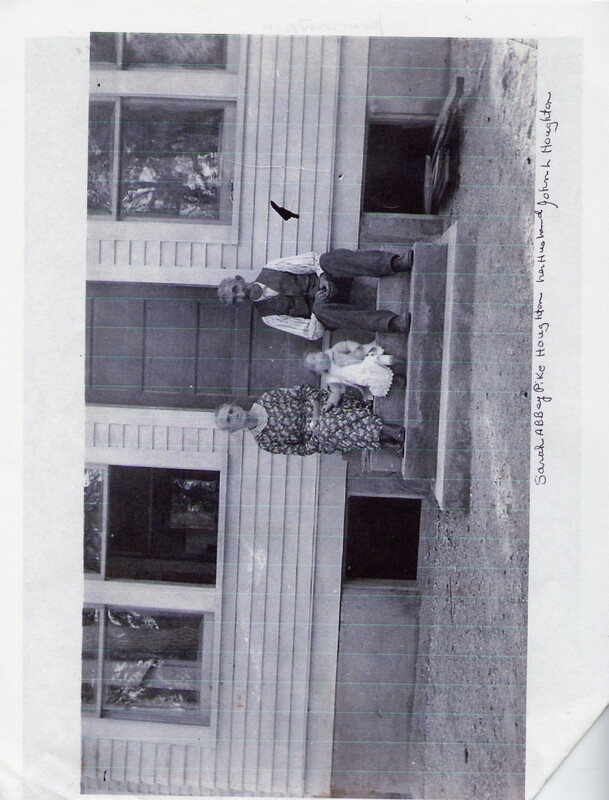 Bernard Joshua Houghton married Sophie Clarice Lobo in circa 1929 age 29 and 17. Bernard Joshua Houghton and Sophie Clarice Lobo were divorced.